Gearmotors in industrial applications have to juggle a great many performance characteristics. Delivering high torque, ensuring smooth performance, and granular control over motor speed are essential characteristics for high performing gearmotors. Add to that the electrical and mechanical stresses on gearmotors themselves. 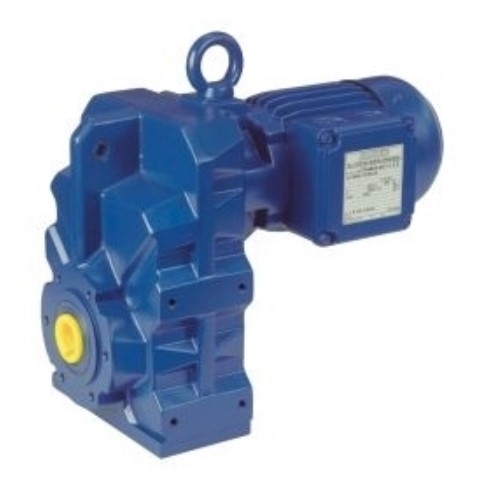 Particularly when setting off from standstill, the electrical demand through gear motors is severally higher than what is required for sustained operation. This places tremendous wear and tear on the internal components of the gearmotors. Gearmotors will function reliably and smoothly even during extended operational periods if they are maintained appropriately. So what can be done to ensure that a plant doesn’t lose time to failed gearmotors? As the name suggests, gearmotors are essentially comprised on two parts – the motor itself and the gears transmitting power. Of course, gearmotors are likely coupled to gear reducers and other drivetrain components, but this discussion will focus solely on gearmotors’ drivetrain. Like with all machinery, gearmotors are highly dependent on lubrication. Both the motor and the gear drive must be adequately lubricated in order to perform optimally and preserve their lifespan. With use, metal particles, and possibly contaminants, will permeate into gearmotors’ oil. Being subjected to hot components too will reduce the effectiveness of the oil. As such, it is highly advisable that gearmotors be serviced regularly and the oil changed at each time or when recommended by the service technician. Wear and tear of gears in gearmotors will also affect performance of the unit. Particularly, signs of uneven wear and tear on gears, excessive wearing or abrasion are signs that the gear motor has developed a fault or its capacity is being exceeded in operation. Some gear wear reasons can be misaligned gears, insufficient lubrication or excessive loading. Similarly, gearmotors’ motors can be damaged due to excessive operation – exceeding maximum recommended operation times, sustained peak torque demands and a lack of maintenance. As gearmotors generate significant amounts of heat, the lubricating oil must not only be changed at regular intervals, it must comply with the viscosity and compositional specifications provided by the manufacturer. Too thin an oil may increase performance in the short term, however the lower protection it provides may lead to premature wear and tear and abrasion of gearmotors. Similarly, too thick an oil will force gearmotors to be ‘run harder’ to provide the expected torque for their respective application, generating excessive heat. The electrical circuitry in gearmotors too gets a workout every time the motor is started up. With several times the current demand at startup, wire can overheat. These must be checked for fraying, else a short circuit could terminally damage gearmotors or cause damage to the application itself.